With technological advances set to drastically change the world of work, most people are feeling upbeat about their digital skills. In a survey by PwC of more than 10,000 people across the UK, Germany, China, India and the US, 69% of workers agreed or strongly agreed that they possess digital skills. ‘Workforce of the future: The views of 10,000 workers’ is based on a survey conducted in May 2017 of 10,029 members of the general public (with just over 2,000 surveyed in each of China, India, Germany, the UK and the US). Respondents included workers, retired people, unemployed and students in each country. A copy of the report can be downloaded at www.pwc.com/people​. 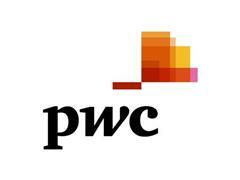 The research was undertaken as part of PwC’s Workforce of the Future report, which examines four worlds of work in 2030 to show how competing forces, including automation, are shaping the workforces of the future. Each scenario has significant implications for the world of work, which cannot be ignored by governments, organisations or individuals.